After the conquest by King Jaume I, instability caused by the revolts of Al-Azraq, compelled the castle to be reinforced, giving it a relatively large garrison composed of fifteen men. From the late 13th century onwards the castle lost its military function and there are only a few documentary references to it. 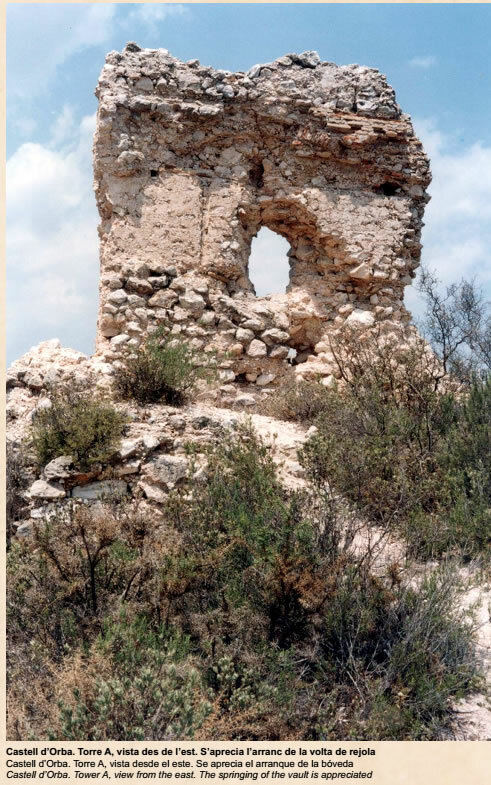 In the 16th century one of the coastal watchtowers of the Kingdom of Valencia was built in its enclosure. ​The extensive administrative district from the Islamic era was maintained into the Christian feudal period creating the Barony of Calpe. 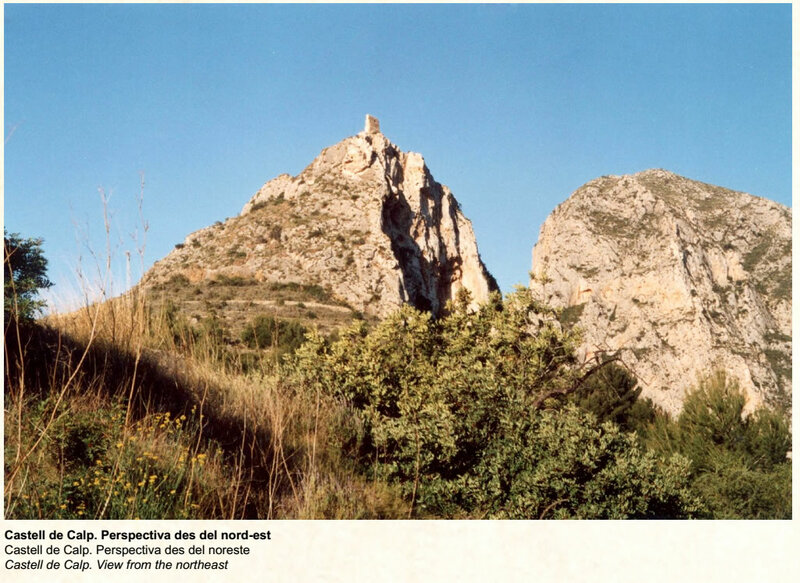 In 1386 the territory was divided to form the new areas of Benissa, Calpe and Teulada. 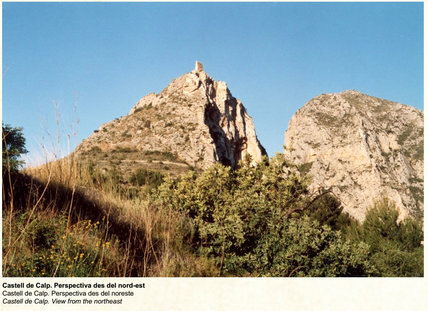 Mascarat: To the Southeast of the Marina Alta stood the hisn of "Calb", a large territory which included the present municipalities of Calpe, Benissa, Teulada and Senija. The 13th century Llibre del Repartiment listed ten farmsteads (alquerias): Portu de Calp, Benayça, Canahor, Lenes, Lleus, Merre, Moraira, Paratella, Senija and Teulada. The names of many of these farmsteads survive as rural districts to this day, and even a square tower of Islamic origin has been conserved in Canor. to the south which avoided having to cross the steep mountains of the interior. Access to the fortress, which barely currently exists, was from the east; reaching a more or less flat platform where there are the remains of a straight wall of a square tower. In total the castle covers an area of 750/700 m². The tower is made of tapia of lime mortar and pebbles and is about 4.5 meters tall and 4.8 meters in length. A few metres to the west lies a possible water cistern that makes use of a natural hole in the limestone. Bèrdia castle: This small castle of Islamic origin lies at the top of the steep mountain range of the Bernia, just above 1,129 metres. The structures which are still visible are the foundations of various walls which together comprise an overall rectangular layout about 44 metres long (east / west) and 8.5 metres wide (north / south); a total of 375 square metres. There are no known water cisterns. Documentation reveals that the water was stored in large ceramic jars, some fragments of which have been found in the castle. ​The walls were built using standard masonry made with lime mortar and in some cases gypsum mortar, but also form-work of limestone bricks and lime mortar. ﻿﻿﻿﻿Access to the fortress is from the west by a steep path which goes along the ridge towards the end. It shows some adaptation to the rock to facilitate access which is always difficult. 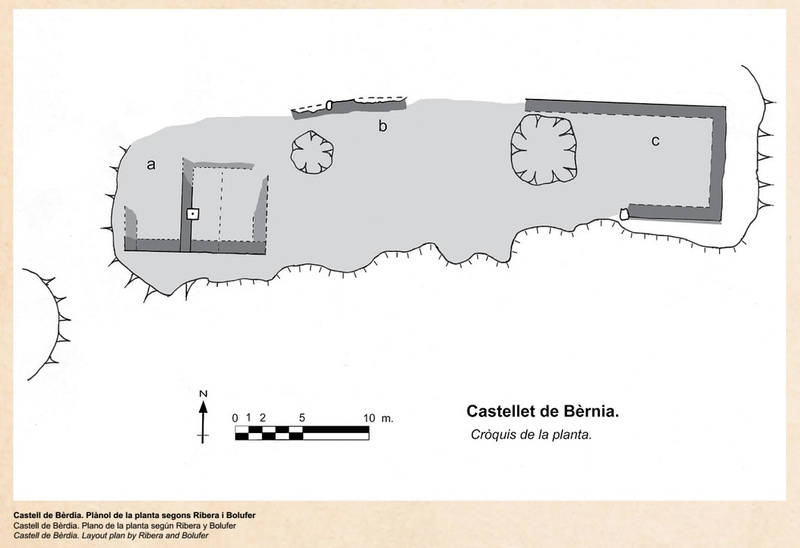 The castle sits on an elongated space, separated to the west by a hole in the rock which was probably natural, but could have been intentionally enlarged to improve defence by hindering access. At the other end the terrain drops sharply, creating a hillock which separates the castle from the ridge which continues to the east. 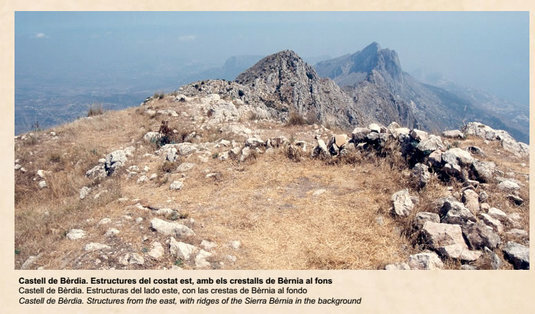 ​Many documents from the Christian feudal era refer to the castle of Bèrdia. Its strategic importance is clear from the time of the conquest by Jaume I until the middle of the 14th century, when it seems that the castle was destroyed by the Crown. There is only archaeological evidence regarding its use in Islamic times, but there are abundant pottery shards around the castle, on the west slope and at the foot of the fort which dates a Muslim occupation between the 11th and 13th centuries.